The last in the series is a keller bier, which once again is a style you don't see a lot of by unless by micro's or imported German. 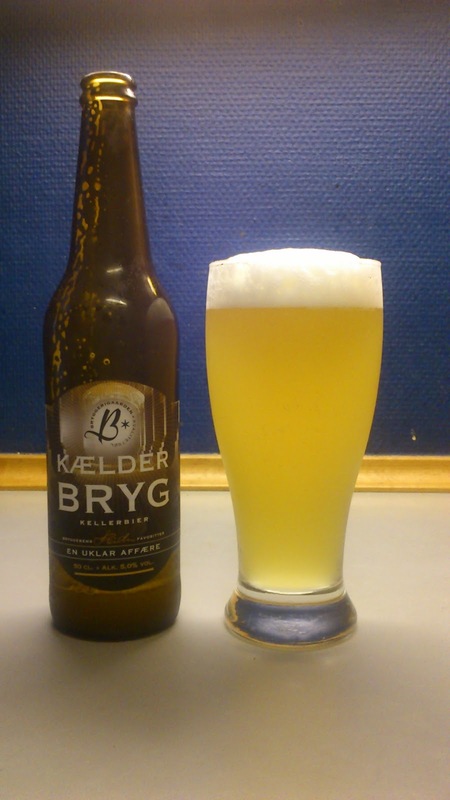 This beer pours a pale yellow with a big lasting white head. Mildly malty, a bit of caramel and almost a sweet honey like taste then finishing lightly bitter. Nice almost creamy mouthfeel. It climbed to 5.5/10 on my internal beerometer though that might be due to the circumstances that I found it very refreshing with the sun beating down. Definitely one I could drink again though if blindfolded I doubt I could tell the difference between this and Braumanufaktur Potsdamer Stange, which is always available from the very good for interesting beers corner shop Kihoskh on Sønder Boulevard.